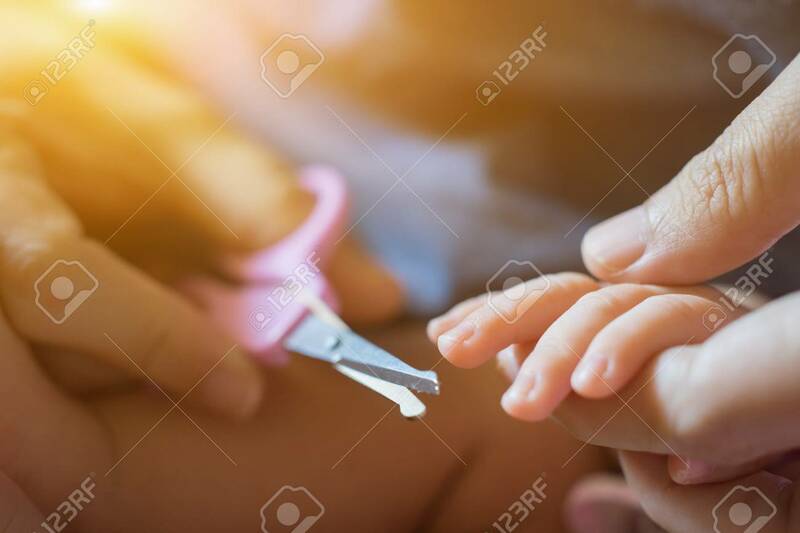 Cutting,Mom Tonsured Nails On The Hands Newborn Using Nail Scissors. Mother Care Is Most Important For Baby Healthy Life,selective Focus Banco De Imagens Royalty Free, Ilustrações, Imagens E Banco De Imagens.. Image 77164409.